Abstract mash line and point scales on dark background with map of azerbaijan. 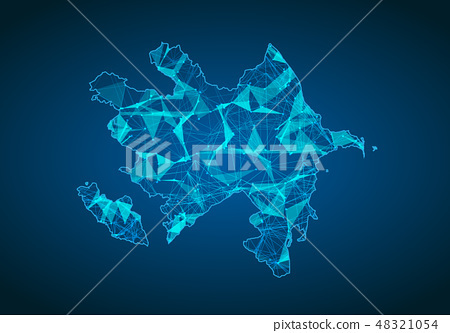 Abstract network vector concept of azerbaijan. Internet and connection map background. Triangle, dot ,line Vector.